Sideline Chairs and Locker Room Stools from Athletic Seating! If your team or school is looking for new sideline chairs, locker room chairs, or locker room stools with your teams logo screen printed, Athletic Seating is the only place you need to stop at. 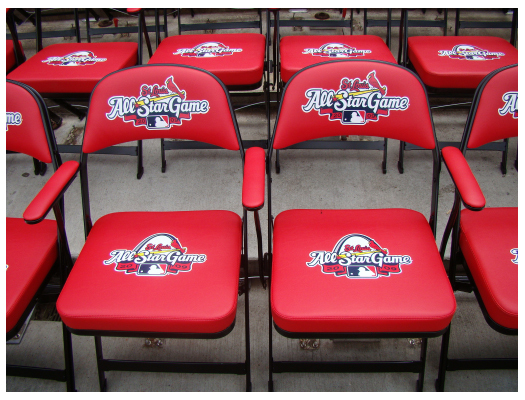 We have been in the team athletic seating business for over 30 years, and we are the only seating dealer that does their own printing…cutting out any middleman markups. Our exclusive logo printing process has to be seen to be appreciated. the difference between our printed logos and the competitions is day and night. We’ll be happy to send out a sample to judge for yourself. The Sideline Chairs and Stools are an investment that will last years, don’t you want the best looking product you can get? At Athletic Seating, we take great pride in what we do, and your project will be in the hands of experts that want your seating project looking as best as it can. Why take the risk of getting chairs and stools from a dealer who just forwards your order to another party, or another country?? Ask where your chairs are made. Our quality Clarin chairs are completely made in the U.S.A.